Of all our Yiayia’s pitas this was my favorite. Usually she made pitas wrapped in either store bought or more often home made horiatiko filo dough and some were even wrapped in bread dough but her leek and onion pie was special. 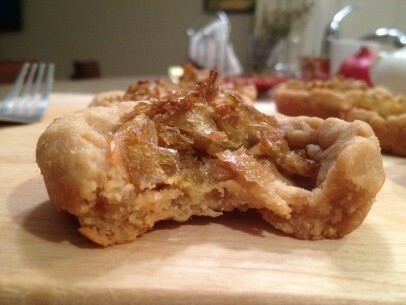 Baked in a light, flaky butterless, eggless perfect pie crust – these were always a treat. Since Yiayia passed away, I’ve tried so many times to recreate this incredible crust with little success……. UNTIL NOW!!!!! (Drumroll please) this is a first on The Greek Vegan – I am going to post another cook’s recipe. I do this because it is EXACTLY – and this bears another mention – EXACTLY my yiayia’s pie crust! I stumbled upon the recipe a few weeks on theppk.com and something just clicked when I read it. I suddenly remembered running to the pantry for Yiayia to fetch a special container of partially solidified olive oil kept on a cool back shelf. How had I not remembered this! Well, Isa Chandler knew Yiayia’s secret! 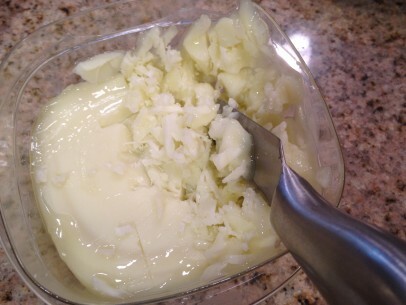 The complete quick and easy recipe for olive oil pie crust featuring frozen olive oil is below. More thanks than I can say to Isa and PPK. I pass this on to you all, I’m sure, with Yiayia’s blessing. 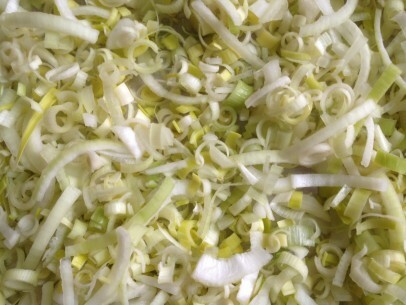 The simple (and mouthwatering) filling consists of just caramelized leeks and onions, a bit of salt, vegetable stock and vinegar. Let these lovelies cook down until they are sweet and buttery soft, fill your pie crust/tart shell and bake. And, as I mentioned earlier, this dish can be made days ahead of time and filled/baked 15 minutes before you’re ready to serve so its ideal for parties when time is tight. Both the dough and filling can be stored, covered and refrigerated, for up to 4 days and pre-baked crusts can be stored, covered, for up to 3 days. A few things to remember with this dish: chop your leeks and onions pretty thinly to avoid any large, chunky pieces of either. It helps to combine these two main ingredients completely before adding to the pan. And make sure to grind your fennel seeds well (or use ground). The fennel seed should add a subtle flavor to the filling as a whole and not a punch of flavor to any one bite of pie. And when you first begin to sauté your leeks and onions, make sure to mix them well with the olive oil in the pan. Try to get all the individuals pieces coated as it helps them to caramelize more evenly right from the start. Low heat is the key to this method of caramelization so go low and go slow until you reach a lovely soft golden brown color. Your filling will be so savory sweet and flavorful I promise you’ll want to eat it right out of the pan! I use about 1/4 to 1/3 cup of dough when making individual tartlets and bake them in a whoopie pie pan but feel free to use regular muffin tins. 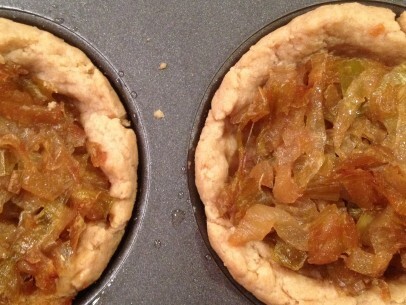 For both the single pie and individual tartlets – no rolling needed! Just start with a ball of dough in the center of your pie or muffin pans and gently flatten/press out to cover the center of the pan first and then up the walls of the pan just with your fingers. 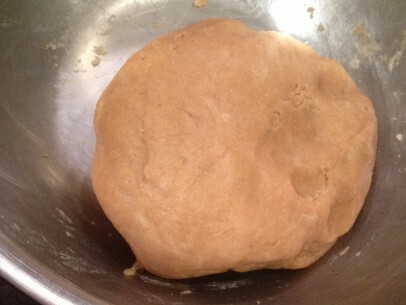 You’ll want to keep your dough pretty thin as it will puff up a bit when pre(blind)baking. The recipe below makes 1 – 9″ tart (or pie) or 10 individual muffin size tarts. If you have a real tart pan, great – if not, just use a 9″ deep dish pie dish. Both work equally well. Another nice thing – both the dough and filling recipes are infinitely scalable so make as many as you like! Feel free to use your favorite caramelization method if you prefer or follow these simple instructions. 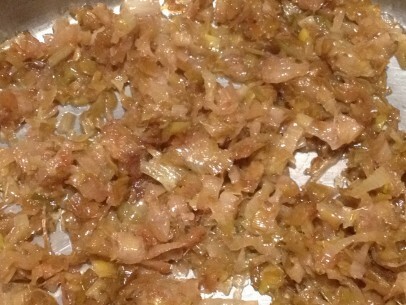 Saute chopped leeks and onions in olive oil over medium low heat until soft, about 10 minutes. Add salt, stir and continue to cook for another 10 minutes. Add sugar, stir and continue to cook for another 10 minutes. Add vegetable broth and crushed fennel seed, stir and continue to cook on low for 40 minutes. Add apple cider vinegar, stir well and scrape up any caramelized bits from bottom of the pan. Continue to cook, uncovered, on low for an additional 1 hour stirring frequently until your leeks and onions are a soft golden brown. Freezing the olive oil: Measure out your olive oil and place in a light plastic container. Freeze for at least an hour. Use as-is in the recipe if olive oil is frozen but still somewhat soft. If olive oil is completely frozen and very hard, chop up the block with a sharp knife into small shredded pieces. Mix 4 tbsps ice water with vinegar and set aside. Combine dry ingredients (I’ve found whole wheat pastry flour is ideal here) and quickly add the frozen olive oil in thirds, using a fork or pastry cutter (or even your fingers) to work the oil into the flour until you have a gravelly kind of mix. 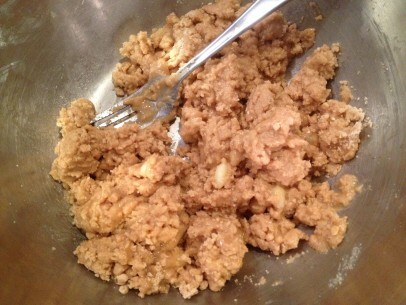 Add the vinegar and water mixture a little at a time and stir until completely combined into a ball of dough. At this point you can refrigerate dough until ready to use or roll out immediately. Roll out dough and press into muffin molds or tart/pie plate. Blind bake at 350 degrees for 15 minutes. Once baked, you can store pie shells for up to 3 days before filling. 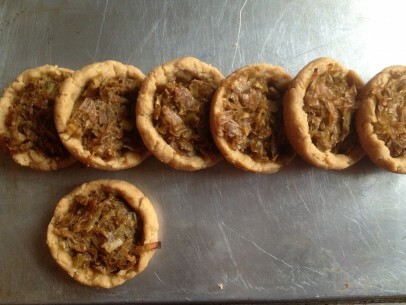 Fill pre-baked crust with leek/onion mixture and bake at 350 degrees for 15 minutes. Serve warm or room temperature. that turned out to be a great snack! do you have a fasolia (gigantes) recipe? thank you for the reply, but i meant oven beaked giant beans, not the soup kind. i am not from greece, but i was told fasolia is the right term? or gigantes plaki. your recipes are not just tasty, but also very inspiring. they have motivated me many times to cook. i never managed to make my gigantes taste like in greece yet, so i am looking forward to the day you will share your version. I’m VEGAN and Greek cuisine is my favourite. Kiki, you are a star! I’ve never been able to make a decent pie crust before, but these were amazing. Thank you! Wondering if you have any tips on types of flour I could use to make these tarts gluten-free… would love to make them for a holiday gathering with coworkers but some can’t eat gluten.